For years Gippsland has been a weekend destination for those who wander in the outdoors. But today, with a host of local food and wine producers popping up, the region is becoming an ideal retreat for rather longer stays, writes Nicholas Acquroff. Traversing through Melbourne in the morning traffic, you find yourself in West Gippsland in little more than an hour. When the city gives way to an expanse of rolling hills and lush farmland, you’re in Warragul, the gateway to one of the country’s most revered natural destinations. Gippsland – from the hills in The Great Dividing Range that roll over into New South Wales, to the lakes, marshes, and lagoons that stretch inland along 90 Mile Beach – is a wonderfully versatile weekend destination, but considering its many charms, it would be a crime not to stay a little longer. Particularly, its growing reputation for quality artisan cheese, cool climate wines, Wagyu beef, and even rainbow trout, makes it a destination of note in and of itself. 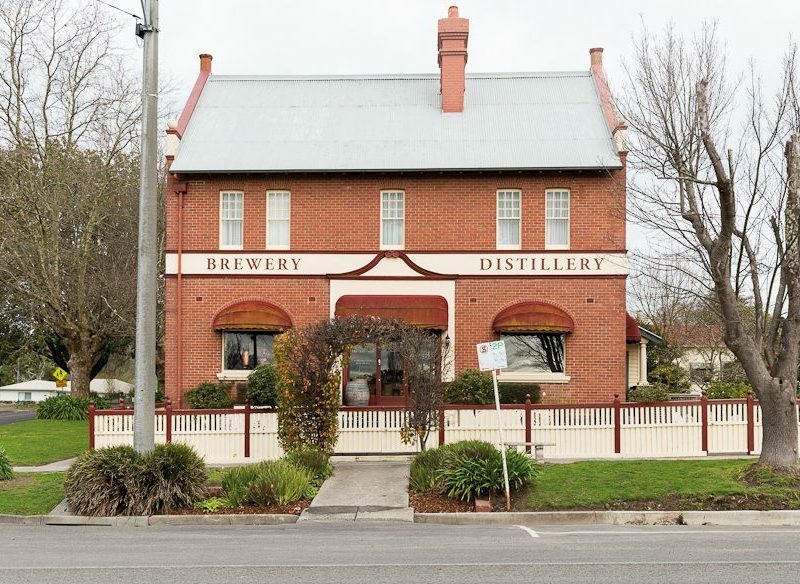 Warragul, known for its dairy production, is dotted with a host of wineries and local farms just out of town. Wild Dog Winery (which is the English translation of the Aboriginal name for Warragul) is known for neat cool-climate wines. Its winemakers produce 11 varieties from grapes grown in the vineyard, with an aged pinot noir, riesling, and a unique field blend. Inside the restaurant, wines are paired seasonally with local meat and dairy, and fresh produce picked from the farm. Less than 30 minutes south of Warragul, as you peel off the main road, you traverse down through the valley and into West Gippsland’s dairy farming heartland. Tamsin’s Table, a 45-hectare property run by Tamsin Carvan and her family in Poowong East, is perhaps the most authentic local experience in the region. Tamsin brings meat and produce from the farm into her hilltop farmhouse, where she runs cooking classes and shares food over her rambling, long kitchen table. Further south still, the town of Loch is perhaps the most romantic small town in the region. With a population of just over 500, it’s an ideal lunch stop on the weekend, with quaint antique shops and eateries lining the town’s main street. Melinda and Craig Davies run the Loch Brewery & Distillery, which is housed in the beautifully restored old bank building on Victoria Road. They produce a dark ale, amber ale and a best bitter on site, while they’ve also got a range of gin. Single malt whiskey is the long game for Craig, who expects his first batch within 18 months. For an authentic experience of the region’s dairy produce after lunch, Prom Country Cheese, in Moyarra, is open daily for cellar door tastings. Best known for producing artisan sheep cheese (their Prom Picnic Sheep Pecorino won gold at the Melbourne Fine Food awards in 2012), share the plowman’s platter with paired wines from the region, while looking over the dairy. Along the Bass Coast, the Kilcunda General Store brings meat and produce from all over Gippsland to the table. Doubling as a post office and clothing boutique, it’s a warm and vibrant stop for an afternoon break, overlooking the ocean and out to Bass Strait. The menu changes seasonally, and is adorned with slow-cooked local meats. Out the back at Udder & Hoe, grab car snacks in the form of honey, nuts, fruit and vegetables, and dairy from artisan producers throughout Gippsland. Completing the round trip back to Melbourne, stop by Bassine Specialty Cheeses, which resides on a farm just off the Bass Highway back to Melbourne. Open for cellar door tastings on Fridays and Saturdays, this tiny factory produces a range of fresh, handmade artisan cheeses from cows on the farm, named for places in the region. Warragul is 90 minutes by car or train from Melbourne. Tinamba Hotel: Drive out to the cosy Tinamba Hotel, and stay for dinner and a menu that showcases the best East Gippsland wine. Nicholson River Winery: Owned by Juliet and Ken Eckersley, Nicholson River Winery produces small batches of specialty wines, to be paired specifically with food.